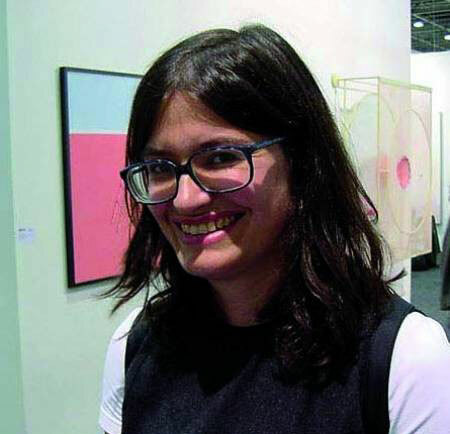 Emma Dexter is the British curator who, in 1995, curated a show entitled ‘Superstition’ of Luc Tuymans’ work at the ICA in London, a seminally important show in bringing his work to the attention of broader Anglophone art audiences. 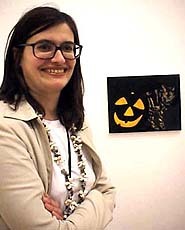 In 2004, after she had begun work for Tate, under the directorship of Sir Nicholas Serota, she co-curated the important solo exhibition at Tate Modern, together with Dr Julien Heynen who worked with the now famous Belgian painter in 1993 at Krefeld. We asked Emma a few questions to her about her experiences of Luc Tuymans on the eve of his solo exhibition that would have an unprecedented four-museum tour of the USA. KP: So how was it that you first became aware of Luc’s work? And what within it first attracted your attention? ED: I think I first saw it in Jan Hoet’s Documenta of 1992. It struck me at the time with how oblique it was – how like a palimpsest of painting – tiny works, with barely any imagery – it was so different to the rest of the work in that show which screamed for attention. The next time I saw it was in Kaspar Koenig and Hans Ulrich Obrist’s ‘The Broken Mirror’ painting exhibition. I remember being struck by how disconcerting and atmospheric the work was (for example, the pendulous diseased breast) – but found I could not get the images out of my mind – and so felt that I really had to do something with this artist. KP: Any striking impressions about your first meeting and visit to the studio? ED: The most wonderful thing about Luc is/was his complete openness to ideas and people and lack of snobbishness. I was worried that as the curator/director of the ICA in London he might not want to do a show – that we would not be grand enough for him, but in fact he was so enthusiastic. He’s still like that now. He responds so positively to interest from all areas of the art world – and is very supportive of younger artists. I remember his studio as being a dismal, tenebrous place – matched only by the large circles under Luc’s eyes. The whole place, including the mildly depressing/threatening atmosphere of Antwerp seemed of a piece with his work. KP: You curated both the 1995 show at the ICA and then co-curated the 2004 show at Tate Modern . Apart from some obvious differences, I wonder how these two processes contrasted for you; compare and contrast…? ED: Well the difference in scale simply meant a completely different process. At the ICA we used the Lower Gallery only so it was effectively one room to hang – and the loans were easy to achieve. At Tate Modern ten years later, some works were much harder to borrow second time around – but the main task was orchestrating and making sense of the work over 12 different spaces, and in a sense constructing a parcours for the visitor, that analysed or exposed different aspects of the work and that made sense. I am very happy with how the exhibition turned out. KP: What do you think Luc Tuymans’ most pressing legacy is –or might become- for art? ED: I think after the excess of imagery, materials and scale used by painters in the 1980’s, Luc showed the power of the slightest gesture, removing all excess, and making painting in which both meaning and subject matter were veiled and obscured. I think he’s also helped enormously to reclaim the position of the European subject in painting, and to show that you can make a form of ‘history painting’ today which can continue the grand trajectory of examining serious events in the socio-political realm. KP: In recent years, you’ve made the transition from working as curator in prestigious public institutions to working at the top end of the commercial gallery sector, for example, you’re now the director of Timothy Taylor Gallery. Perhaps an unexpected route for a respected curator? How do you find the commercial arm of the art system by comparison with the public? ED: I think the differences between the two sectors are vastly overrated – they’ve grown much closer together over the past 20 years. I still spend my time talking to artists, writing about their work, and deciding how to install it!